Inflatable air bunkers are light weight, easy to set up, multi-shape and convenient to transport. All the advantages make the air bunkers more and more popular than other bunkers. During the paintball game, the air bunkers play very important role, that is the air bunkers make cover for the players, Who get the flag and eliminate the competitors, who win. 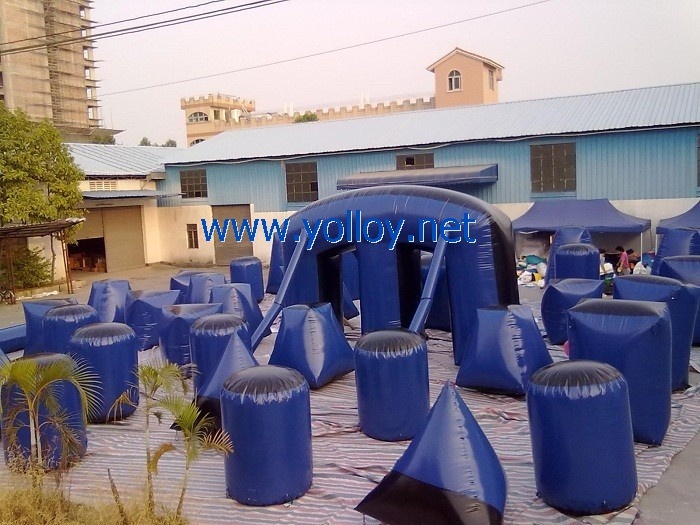 Here is a inflatable paintball field with 44 air bunkers. Here are the details, please kindly check.